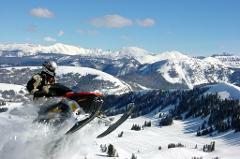 2hr Guided Snowmobile Trip at: 9am, 11am, 1:30pm and 3:30pm. 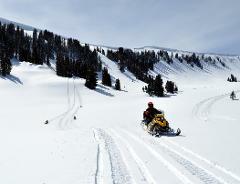 Our 2hr trips are our most popular! Call for availability if within 24hrs of desired trip. Our Newest Trip Something longer and higher. On Demand Only Lunch at Lookout Cabin (10am trip) Snacks on the afternoon trip (1:30pm) Call for availability if within 24hrs of desired trip. 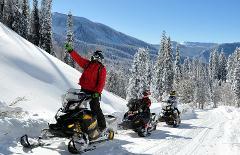 Half Day High Adventure Trip for single riders (4hrs) Utah's Highest Snowmobiling on Utah's Largest Private Ranch! Call for Availability if within 24 hrs of desired trip.